Let’s face it: technology dramatically changed the way people live long ago, specifically, the way people make purchases, letting the new shopping standards take hold across the globe. As more and more shoppers were going online, more and more offline retailers were embracing the trend and going digital as well to retain existing customers and win over new ones. The increasing demand for eCommerce solutions capable of delivering frictionless digital shopping experience paved the way for the proliferation of eCommerce technology solution providers. As eCommerce market keeps on evolving, spoiled by enhanced convenience of technology, consumers are becoming more demanding in terms of experiences they get while shopping online at what feels like a faster rate than ever, compelling online retailers to always be on the lookout for the new ways to instantly respond to evolving customer expectations. As we all know, demand begets supply. Driven by fast changing customer shopping habits, eCommerce solution providers are here at the forefront vying to dominate the market. In an attempt to stand out in the ever-expanding eCommerce market and remain best-in-class providers for online businesses, eCommerce platform vendors are continually trying to go the extra mile to provide cutting-edge eCommerce technology solutions, thereby helping businesses deliver upon ever-growing customer expectations. Year by year vigilant eCommerce solution providers are delivering innovative features intended to provide online buyers with incredible hassle-free digital experience. 2018 was not any different. To help businesses keep abreast of what is going on in the eCommerce arena, we’ve put together an overview of noteworthy features top eCommerce software providers released in 2018. Among other things, VRP Consulting offers Salesforce CRM integration with Magento and SAP enterprise solutions – that’s exactly why we chose these three platforms for a feature breakdown. Let us get an in-depth insight into our overview of top-notch features key market players rolled out in 2018 and figure out which of the eCommerce solution providers were able to satisfy both merchants’ needs and the cravings of a new generation of consumers best of all. Who’s going to lead the pack? Committed to empowering businesses to deliver top-notch personalized brand experiences throughout the entire customer lifecycle, Salesforce keeps updating its B2C Commerce solution by adding new breakthrough functionality to its Commerce Cloud on a regular basis that is intended to help the world’s top retail brands continuously innovate. 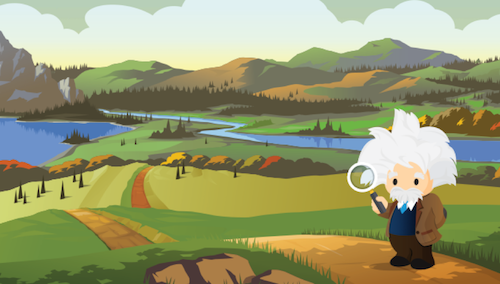 Last year Salesforce continued on the path of digital retail transformation by introducing multiple innovations across its Commerce Cloud platform that are designed to enable companies to infuse smarter commerce experiences into every customer touchpoint, which helped Salesforce B2C Commerce remain the leading enterprise cloud commerce solution. BTW, in 2018 Salesforce B2C Commerce was named a leader by Forrester Research in its report, “The Forrester Wave™: B2C Commerce Suites, Q3 2018” based on the highest score it received in the support services and platform criteria, in the personalization, artificial intelligence and machine learning, business intelligence and analytics, and delivery and extensibility ecosystem criteria. So what are the latest disruptive capabilities Salesforce embedded into its Commerce Cloud in 2018? A shopper might search for “sweater”, while the retailer lists the product as “pullover”. This is where the new Search Dictionaries comes into play. Through analyzing site searches, Einstein Search Dictionaries uncovers terms that are being searched for but are not currently included in retailers’ dictionaries and suggests which synonym list to refer them to. Powered by AI, the feature will help save both time and money for retailers by eliminating the need to manually sift through lengthy spreadsheets of search terms, while also allowing shoppers to get more powerful search results. No time-sapping processes. No product recommendation disparities. A win-win indeed. Another key feature intended to make search way smarter, and therefore elevate the conversion rate for retailers. Focused on helping shoppers find exactly what they are searching for within the shortest possible time, Einstein Search Recommendations provides personalized type-ahead search results based on the shopper’s recent searches, location, purchase history, etc. The engine works for both known and first-time shoppers getting even smarter in delivering individual search recommendations with each interaction, which will unfailingly facilitate increased conversion rate. Service Anywhere APIs uncover new omni-channel customer service capabilities empowering merchants to offer a variety of customer service options throughout the entire customer journey. By pulling Order Management data and sharing it with eCommerce and in-store applications, Service Anywhere APIs enable customer service reps to order on behalf of a shopper or modify a shopper’s basket. What’s more, the APIs offer self-service returns and exchanges as well as Buy Online Return In-store capabilities, allowing customers to get service for the items with no hassle regardless of where they purchased them. For one, a self-service return portal makes it possible to initiate a return on a retailer’s website without having to call customer service. Both retailers and consumers stand to benefit from the update – satisfied customers will surely come back for more, which will dramatically improve your sales performance. Other Salesforce advancements worth mentioning include new SEO Meta-Tag rules, new filters in the Language Analyzer for Site Search, Keyword Sorting Rules for Site Search, a new Catalog Module, to name a few. 2018 was really successful for Magento in terms of introducing numerous updates, new functionality, noticeable enhancements and functional fixes. In May, Magento released its Magento 2.2.4 version that came packed with new third-party extensions, specifically Amazon Pay, Vertex and Klarna Payments, which was expected to result in a smoother customer experience and a decreased bounce rate for Magento merchants. Focused on checkout optimization, Amazon Pay payment solution enables buyers to easily check out on a Magento 2 website using their Amazon credentials without ever leaving the website to enter their payment information – customers no longer need to type in credit card details or create a new account. With hundreds of millions of customers having Amazon accounts worldwide and appreciating the security and convenience of Amazon buying experience, this integration is sure to help Magento storeowners expand their customer reach multi-fold. To simplify end-to-end tax calculating processes and thereby minimize cart abandonment rate, Magento released new integration with Vertex that aims to provide Magento merchants with direct access to automated sales and use tax technology. With Vertex, buyers are better placed to get accurate tax amount directly in the cart so that they can make a purchase decision before proceeding to the checkout. Klarna Payments easy-to-use payment solution allows shoppers to go with the payment option that works best for them, such as Pay Now, Pay Later and Slice It. Pay Later enables customers to pay for the purchase within 30 days after delivery, meanwhile Slice It gives shoppers an option to pay in fixed or flexible installments at a low interest rate. It’s definitely a win-win for both buyers and merchants – the flexibility in payments that integration delivers will help merchants win over a big audience of those who dread paying in advance or want to pay over time for some reason or other. While this functionality is not new to eCommerce industry, nor is it exclusive to Magento (Magento was not the only platform to implement these integrations; for one, at the beginning of last year Vertex launched integrations with Salesforce), still these extensions can be rightfully considered breakthrough for Magento, since they deliver extra convenience, high speed and safe purchase experience buyers have been longing for quite a while. Though available as a beta version thus far, Page Builder opens up a new avenue of opportunities for Magento retailers in that it allows non-technical users to design customized dynamic CMS pages and update content by using a simple and intuitive drag and drop interface. No coding capabilities are required. Particularly, the mighty content editing tool now enables retailers in just a few clicks to customize pages, integrate products into any store pages, embed static blocks and third-party content like YouTube and Vimeo videos, Google Maps, and other elements into various pages. As quick Progressive Web Apps keep gaining ground, Magento comes up with a fully-featured PWA Studio solution – a powerful suit of tools designed to deliver app-like experiences to users through revolutionizing the way the frontend of a Magento eCommerce store is developed. The latest frontend technology will enable to build fast and feature-rich Progressive Web Apps that provide users with a ton of benefits like fast load time, improved usability, accessibility via any device with a browser, offline operation, to name a few. As good as native apps, Magento Progressive Web Apps are going to allow for a more engaging, intuitive and immersive customer experience. 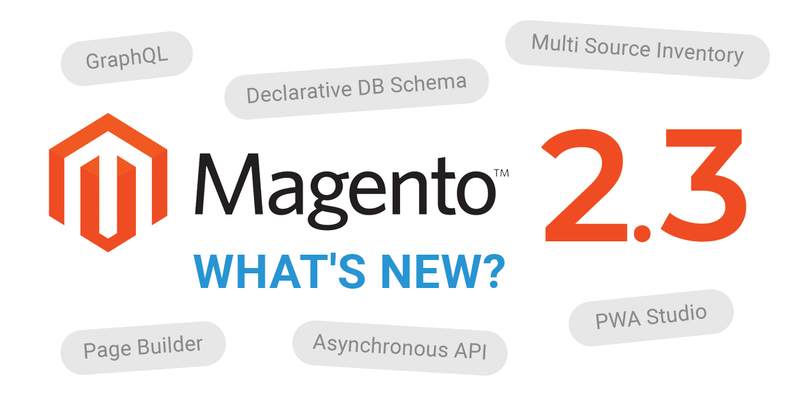 This is by no means an exhaustive list of all disruptive features the latest release comes packed with – Magento 2.3 is definitely designed to dramatically transform user experience across all levels. Among all other things, merchants get an unmatched opportunity to handle inventory across multiple locations with Multi-Source Inventory, or position products and apply various conditions to them by means of Magento 2.3 Commerce Visual Merchandiser, which is a revolutionary drag-and-drop tool for product management. To find out more, visit Magento 2.3 Release Notes. Formerly known as SAP Hybris Commerce, SAP Commerce Cloud is relentlessly gaining traction, as SAP seems to be putting in a ton of effort trying to break new ground and get ahead of the curve in the eCommerce industry and beyond. First off, it’s worth noting that after the entire SAP Hybris solution and its products underwent transformation in June 2018, SAP Commerce Cloud became part of a new-look unified suite of cloud solutions incorporating SAP Marketing Cloud, Commerce Cloud, Service Cloud, Sales Cloud, and the new Customer Data Cloud – the SAP products were rebranded, tied together and embedded into the cloud software, with the CRM suite being renamed into SAP C/4HANA. The strategic move was an attempt to shift the focus to a fully integrated customer experience as well as push the boundaries of traditional transactional CRM systems, and, let’s face it, outmaneuver key players such as Salesforce and Oracle dominating the CRM space. Whether SAP was able to outperform market leaders remains to be seen. Yet, one thing is certain: adopting the omni-channel approach as well as including a holistic customer focus in the offering is surely a smart move, since it provides SAP merchants with the opportunity to deliver personalized customer experiences at every contact point other than the sales department alone, as this is where customers expect to get personalized service today. What’s more, by offering consolidated solutions that enable to aggregate data from various touch points, SAP will help businesses bridge information silos, thereby allowing them to get a 360-degree view of their customers. As for the brand-new features SAP Commerce Cloud acquired in 2018, there were not many of them throughout the year, with each release featuring basically minor updates and enhancements. Yet, it pays to break down a few ones that might make a big difference to businesses running their online stores on SAP-powered solutions. What new features are particularly worth paying attention to? The Dashboard is part of the latest SAP Commerce Cloud release 1811 that is geared to providing business users with real-time analytical insights into their product data, thereby helping them improve product data quality straightaway for a better customer experience. The Dashboard includes 3 out-of-the-box reports: Data Quality Coverage showing product data quality stats for core and marketing attributes and what needs to be addressed; Product Approval that illustrates how products are segmented by the approval status and helps uncover bottlenecks related to the product approval cycle; and Collaboration summarizing the current workflows related to the product approval or product data being added. CDS solution that was introduced in the 1808 release is a suite of products designed to help retailers track customer behavior and interactions in real time, get a better understanding of customer needs and provide them with personalized product recommendations and promotions that will nudge customers closer to a purchase. In the release 1811 the solution received two new capabilities: Merchandising that adds tailored product carousels to any page of the website based on the data collected throughout the customer journey, and Customer Recovery meant to create automated email campaigns for abandoned shopping sessions or carts. Hands down, the solution is just the perfect fit for SAP merchants trying to solve cart abandonment issues and ramp up conversion rate. An integral part of the SAP Cloud platform, the Extension Factory is an enterprise class, open-source extension framework designed to help businesses create and deploy tightly-integrated, cloud-native extensions as well as personalize and extend their existing SAP applications like SAP S/4HANA, SAP C/4HANA, and alike faster than ever before. What’s more, the solution is not restricted to any programming language as well as it is technology-agnostic. The SAP Cloud Platform Extension Factory really seems to be a game changer, since it helps businesses save precious time (new applications can now be developed in an hour as opposed to months) and gives more agility. All features that we highlighted in the post provide online retailers with top-notch productivity tools designed to bump up their conversion rate and take their online businesses to the next unprecedented level, while also providing customers with enhanced and frictionless shopping experience they are craving for – so it’s up to you to decide which of the three eСommerce solutions providers was the innovation leader in 2018. VRP Consulting is well-versed in integrating Salesforce applications with both Magento and SAP solutions, so if this is exactly what you’re looking for – we’ve got you covered. For further information, please contact us at marketing@vrpconsulting.com.